Welcome to a new feature: Kids Corner! Here at Tea in the Treetops, we’re big fantasy and fairytale fans. With a few of us having small children now, we’ve begun to look around for ways to introduce them to the joys of the fantasy worlds we love. Today, I’m going to take a look into the wonderful world of dragons with a few picture books for little ones. I read them with my three-year-old to get his reaction. Do you have any other suggestions for Dragon books for kids? Please, let me know! 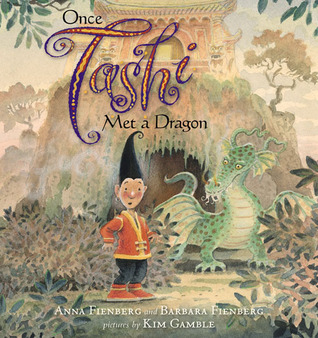 Ever since he could remember, Tashi had been told stories about the dragon who loved on the mountain in a palace of gold. It was the dragon who sent the rains each year – until now. The creeks were drying up and the people were hungry. What was happening up there? Something had to be done and only one person in the village would dare to do it… Tashi! With beautiful paintings on each page, this book is certainly pleasant to look at. The story and pictures have a slightly Eastern feel to them, although no specific nationality is mentioned. The dragons are quite friendly and sing songs, although I was slightly alarmed that the young dragon had eaten his sister (she came back out again shortly after)! 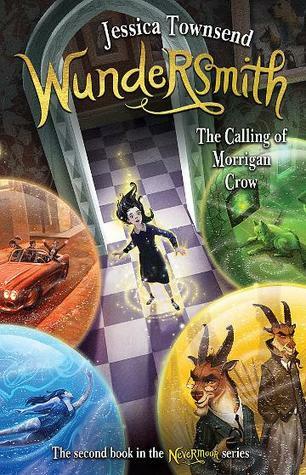 Sprout’s verdict – This book held his attention quite well, although at 34 pages it’s reasonably long so I resorted to funny character voices to keep him listening. 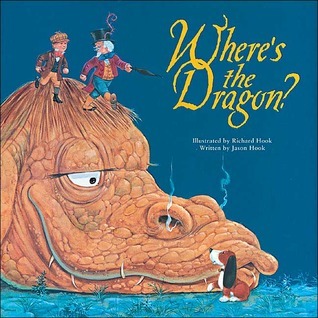 This book has thick, embossed pages with beautifully detailed illustrations showing the story of George and his Grandfather and their quest to find the dragon. There are dragons hidden in every page as well as a wealth of other little quirks so I have a feeling this book will show up something new in each read. As well as the illustrations, the story is a lovely story about a boy and his grandfather on an adventure together, and shows how some people just can’t see the forest for the trees. Sprout’s verdict – loved the pictures with the hidden dragons, and thought Grandfather was very silly not to see the dragons everywhere! A tiny sneeze, a puff of smoke, a washing line, and a major disaster! 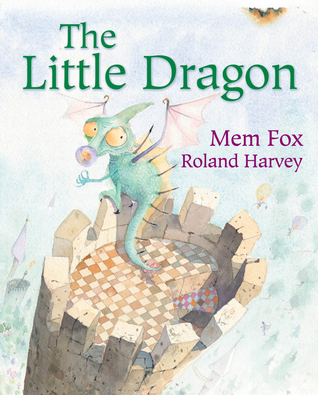 From internationally acclaimed picture book creators Mem Fox and Roland Harvey comes the enchanting tale of a little dragon’s small mistake that sets his whole wide world on fire. The Little Dragon has beautiful watercolour illustrations and a very simple story – the little dragon sets the town on fire and the flames rise higher and higher. Mem Fox wrote several of the Aussie favourites around our house, including Possum Magic and Where is the Green Sheep? This story is very simple but still charming, and the pictures have gorgeous details. Sprout’s verdict: It’s a bit scary!